London has a wide range of parks and gardens to enjoy during a London visit. One of the most popular gardens is Kensington Gardens. At one time it was private and used only by Royalty, then it was just for the “properly dressed” but now anyone can stroll through the park and enjoy it. So put on your walking shoes and go exploring the 275-acre Kensington Garden. It is located next to Hyde Park and is said to be “the smarter-looking sibling” to Hyde Park. The City of Westminster and the Royal Borough of Kensington and Chelsea share the park. Located in Kensington Gardens are several historic and interesting sites. It is a very relaxing park and a favorite park of joggers. 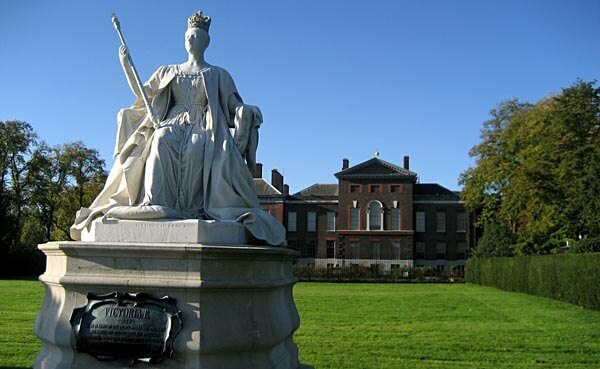 The most popular site in the park is Kensington Palace, the home of Princess Diana before her death. You can take a walking tour of the State Apartments at the Palace for a fee. Another popular site is the statue of Peter Pan. You can stand there and let you mind travel to “Never Never Land” with Peter and Wendy, just as you did as a child. Another feature is the 180 foot high Albert Memorial, which honors Prince Albert I, the husband of Queen Victoria. Visit the Serpentine Gallery, a gallery of modern art, which at one time was the home of a tea pavilion. Another popular site in the Garden is the Sunken Garden. This is a great place to just sit and relax by the water. It consists of the “Long Water”, a large lake, and the “Round Pond” and was created in 1909. The Round Pond is popular with the remote controlled boaters. Buy or rent a boat and try your hand at sailing! Don’t miss a statue called “Physical Energy” by Fredrick Watts; “Arch” by Henry Moore and finally “Rima” by Jacob Epstein. Kensington Garden is a wonderful place to spend the day and it is free of charge. Pack a picnic lunch and enjoy! Last updated by Barb Jungbluth on 12 September, 2011 in Destinations.